Another special variation of tea that will freshen your day with your family. Mix the water, mocca syrup, agar-agar powder and jelly powder. Then, boil them and stir them well until dissolve. Pour it into a square bowl (the size is about 30x30x3 cm) and let it be cooler and be jelled. Next, diced chop it and leave it for a while. Put Sari Wangi Teh Celup Jumbo with boiled water for 3 to 4 minutes. Drain the tea and let it be cooler. Then, pour the milk and mix the tea and milk well. Mix the sugar and water. Boil them and stir them well until it's getting coagulate. Turn off the fire. Next, pout the vanilla syrup and stir the sugar water well. 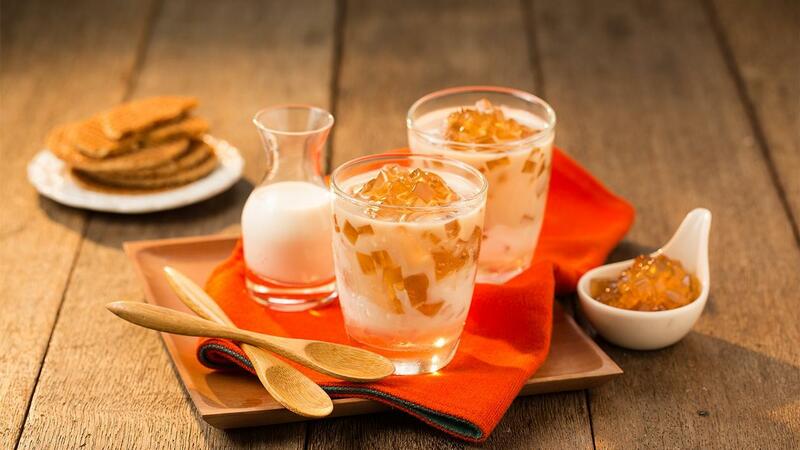 Serve Ice tea with mocca jelly with the following sequence; pour the milk tea, pour the sugar water, add mocca jelly and finally, add some ice cubes.